Doctor Who: Revisiting CARNIVAL OF MONSTERS | Warped Factor - Words in the Key of Geek. Dr. Moo grabs a dishrag and starts cleaning. On the surface Carnival Of Monsters is your typical Doctor Who story. It starts with some British people being very British before we get a series of naff special effects, exposition about class struggles directed towards a comedy circus duo, and it’s all set on a planet populated by grey men in ill-fitting bald caps. While all this is going on we have the Doctor and companion Jo running up and down corridors trying to escape from some monsters. It sounds like a perfectly serviceable filler story and, considering it’s followed by twelve episodes of the Master and Daleks plotting an interplanetary war, it certainly does look like it too. But before you decide to skip it listen to this fact: Robert Holmes is the writer of Carnival Of Monsters and it’s here that he defines how all his future scripts will look. As I said, it starts off with a bunch of British people travelling by boat to India. It’s into this situation that the Doctor’s newly repaired TARDIS drops him and Jo. The ship, we soon learn, is the SS Bernice which famously went missing, and as the first episode plays out we slowly see unfolding that this is no ordinary ship. The crew is trapped in a Groundhog Day loop and only the Doctor and Jo are aware that they’re having the same conversation over and over. Jo’s increasingly frustrated reaction to enduring this is especially entertaining, with the combined efforts of Holmes’s witty writing and Katy Manning’s performance bringing out just the right balance of comedy and seriousness to pull it off. Opposite this we have the goings on on Inter Minor. The political machinations of three Minorians and the hierachal society they’re living in makes for a fun satire, and seeing this played out alongside the over-the-top duo of Vorg and Shirna is a delight. Speaking of, Vorg and Shirna are excellent characters that make for an impressive double act. These two clearly went down a treat with Holmes himself because he worked a similar double act into almost every script he wrote afterwards, Jago & Litefoot being the best example. But they’re not just there to be a fun diversion; Holmes also makes them the reason why the Doctor and Jo have ended up stuck in an apparent time-loop. 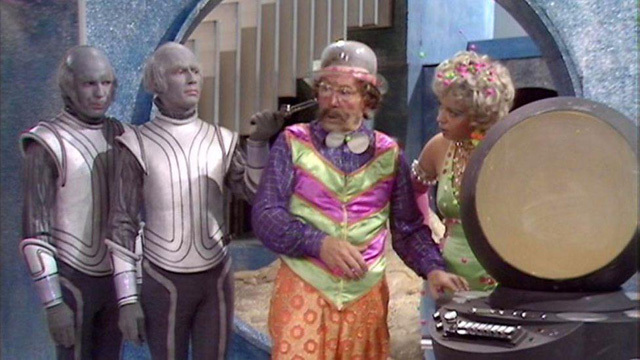 The TARDIS has in fact materialised inside of a miniscope, which Vorg is using as his chance to make some entertainment. In it he has many different creatures, trapped without their knowing, that he uses for the audience to watch doing what they do normally. It’s like if a zoo was used as the setting of a reality show, with added aliens. 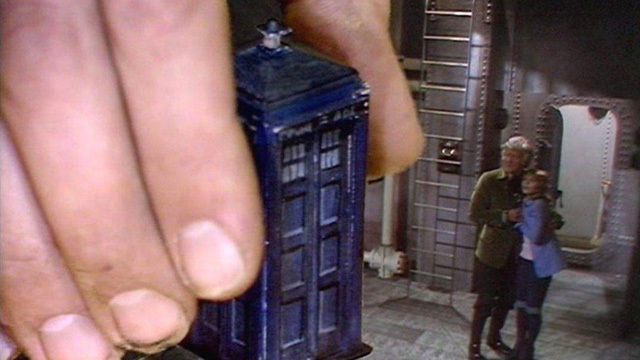 The iconic first cliffhanger is a direct result of this miniscope, as we see Vorg's giant hand grabbing the TARDIS, amusingly mistaking it for a bit of dirt stuck inside. 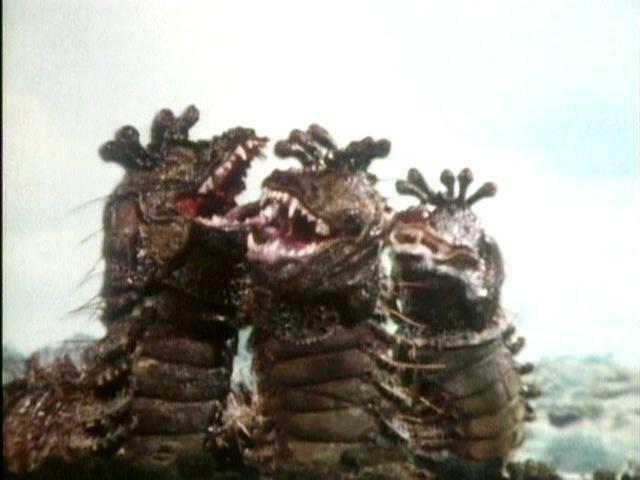 Among the monsters trapped inside the miniscope is one of the best new aliens of The Jon Pertwee Years, the Drashigs. Despite an obvious budget limitation they are genuinely scary with a roar that will stay with you in your mind long after the final episode has finished. These collossal monsters eat meat for every meal and are said at one point to have demolished an entire spacestation – the final episode sees them escape loose onto Inter Minor and go on a killing spree, and while the budget here should make the scenes laughable to watch they’ve managed to prove themselves scary enough for it not to be. Holmes exploits the poor effects used to create the Drashigs in the creatures’ name. It's an anagram of “dishrag” which was what he expected would be used to make them. He was wrong, but it's still funny. What he actually came up with was one of the finest monsters that Doctor Who has ever produced and if there’s a NewWho episode or two that eventually feature the Drashigs realised with a modern budget then that’ll be perfect. What’s weird about Carnival Of Monsters is that it doesn’t really feel like a Pertwee story. That’s not to say that Pertwee is bad in it, he’s as faultless as ever, but it seems like a story that wouldn’t be out of place if it had Troughton in it instead. The lack of UNIT presence and failure to even have a single scene set on Earth (those were the days…) both contribute to this fact. It sticks out like a sore thumb among the stories in this era of the show. 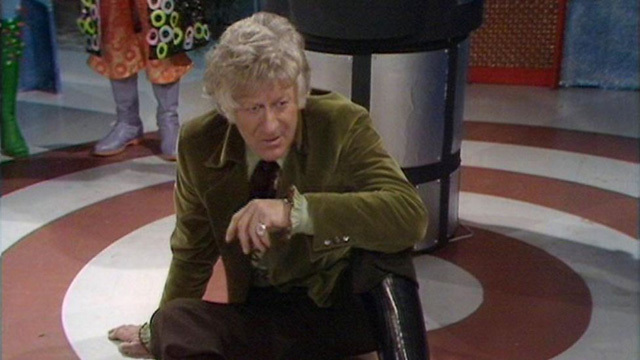 And yet it still feels tailored perfectly to Jon Pertwee and his Third Doctor. It’s only right that on his first time using the TARDIS properly as this incarnation he should end up in the wrong place. He’s clearly out of practise enough that when he sees some caged chickens he automatically assumes them to be the dominant lifeform wherever it is he’s ended up. 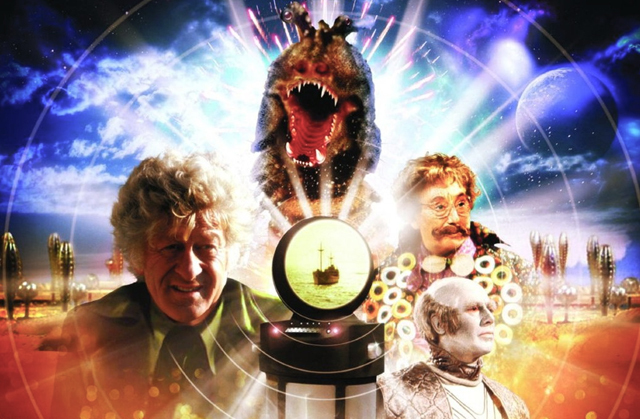 So as a unique kind of Pertwee story it goes without saying that Carnival Of Monsters is worth a watch, and the fact it’s actually very very good is just a bonus. Watch it. It’s brilliant, probably even more than you remember.